Where can you watch this film? And for once we recommend it. Buy the Blu-ray 25th Anniversary edition. Coincidentally, there probably aren’t any UHF stations where you can watch UHF. Check your local listings! This episode we’re joined by Sally from Sallyannk.com. During the episode she talks about the upcoming One Spark competition. As of posting this show we know she placed 9th in her category! Chris appeals to Cracker Jack to sponsor the show. 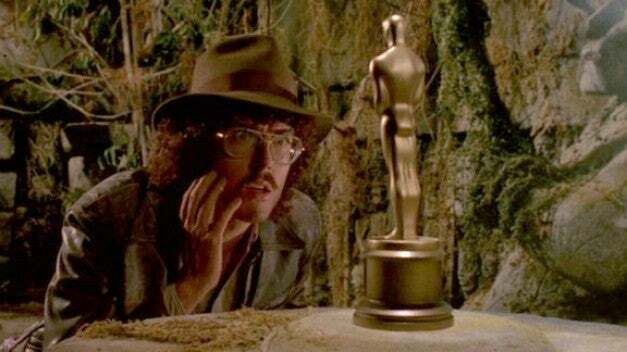 UHF had heavy competition in 1989. We decided that Weird Al needs one of Sally’s beanies. It’s a good price, get one for yourself! Paul’s first cassette ever? Alapalooza. The film has an amazing story when it comes to its video release. Check out the “Legacy” section of the Wikipedia entry. Supposedly the movie was loosely based on The Secret Life of Walter Mitty, a Danny Kaye film based on a short story. Ben Stiler stars in the remake. You do not have permission to use a real oscar in your silly film! So here’s a bashful, gold statue. Everyone needs a Nash Metropolitan. The undisputed king of sandwiches. Weird Al builds a mountain of mashed potatoes a la Close Encounters of the Third Kind. Is that the Inspector Gadget villain again? Victoria Jackson shows up in the film. She sticks to her lines and thankfully doesn’t accuse Obama of being a communist. Crispin Glover was offered the role of the janitor, but turned it down. They also tried to get Christopher Llyod. Michael Richards from Seinfeld is crazy young and one of the best parts of the film, the janitor. Chris thinks Fran Drescher looks like a Swatch watch in her dress. 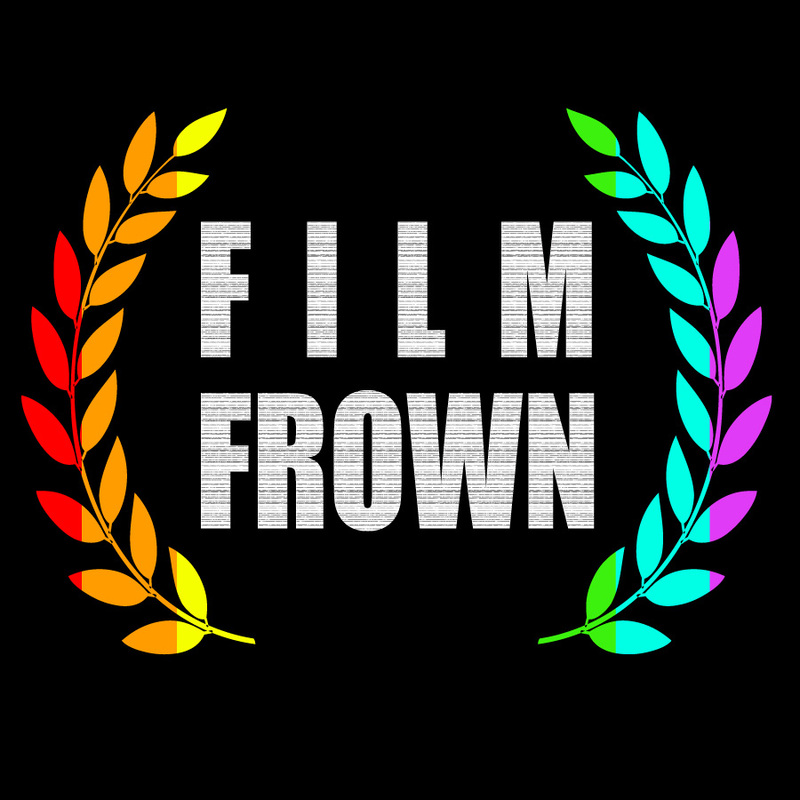 It’s a Film Frown alum! Billy Barty is the camera man at the station. We saw him in Harum Scarum. One of the great surrealist comedians, Emo Philips has a hilarious bit in the film. The Spatula City commercial entertains us all. The movie says it’s time to show a Weird Al video. Beverly Hillbillies. Chris loves Weird Al’s take on Wile E. Coyote and The Road Runner. Wheel of Fish? No you don’t get a clip because we’ve already spoiled enough in these notes. Trinidad Silva is amazing in this film. His character has an “animal kingdom” TV show on the public access station Al manages. Unfortunately, he died in a car accident before shooting ended and the film is dedicated to him. “You get a drink from the fire hose!” That’s the iconic line and scene from this movie. Where does the “We don’t need no stinkin’ badges!” line come from? The book The Treasure of the Sierra Madre and its 1948 film. Weird Al parodies The Geraldo Rivera Show. In the TV station there’s a Thing With Two Heads poster. The bizarre but lovable bum in the film was played by Vance Colvig Jr.. He was one of the first Bozo the Clowns. Of course there has to be a Rambo parody. Anthony Geary from General Hospital plays Philo, named after inventor Philo Farnsworth. Weird Al’s character is named George Newman in a nod to Alfred E. Neuman the mascot of Mad magazine. Sally wants more Weird Al movies. We found these interviews he did for the Nerdist network. Where’s the commentary in streaming? If you’re interested you can find some commentary in films using VHX.tv to distribute digitally. David Cross’s new film Hits has an option to get bundled extras. Paul also mentions that iTunes has Extras available for some films as well. Sally choses another page from the cult movie book! Next season we have to watch Tower of London, Top Secret! or Touch of Evil. Stay tuned after the ending theme song - we do some bonus talk about Weird Al trivia and copyright, as well as catch up with Sally’s adventures in up-cycling / recycling / repurposing goods through hand (not mine) crafting. And a double-bonus track at the very end, Paul talks with his daughter Evie just before the show starts. Thanks for listening! And thanks for taking time to join us again, Sally! Up next, 1995’s Waterworld.